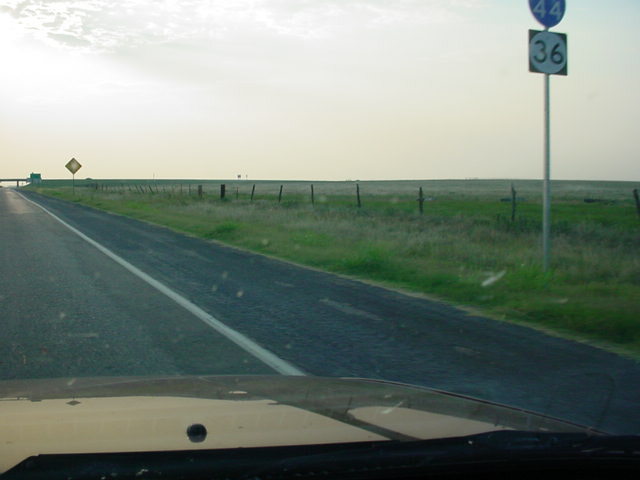 U.S. 277 begins its trek in Carrizo Springs, Texas at U.S. 83, 63 miles northwest of Laredo. 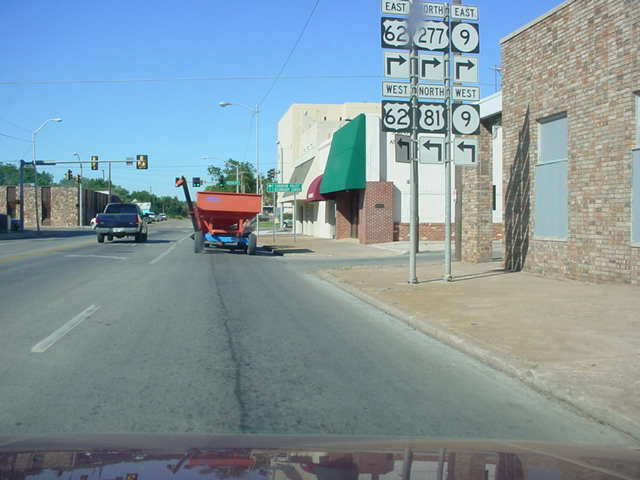 It runs through the central part of Texas and joins Interstate 44 in Wichita Falls. 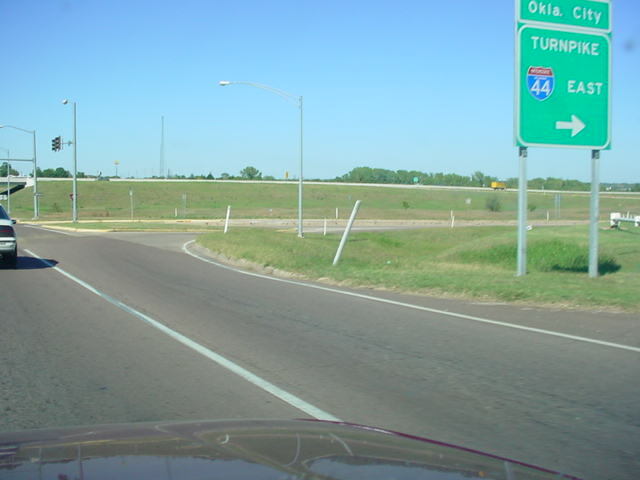 U.S. 281 is also signed with Interstate 44 and U.S. 277 as the three highways enter Oklahoma. 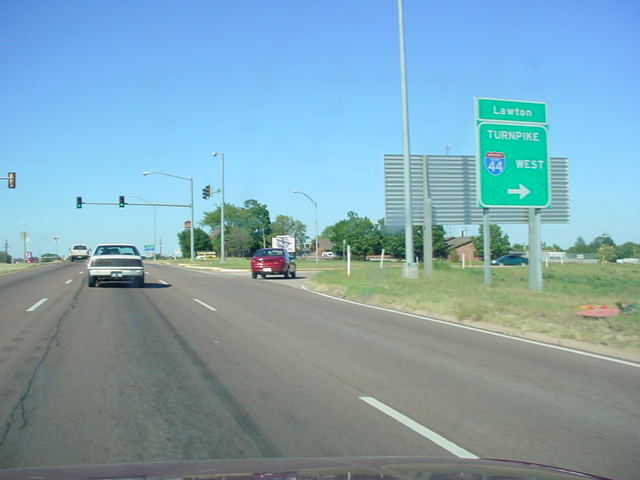 At Exit 5 (U.S. 70) U.S. 277/281 North exits off the interstate and head east with U.S. 70 for three miles before heading north. 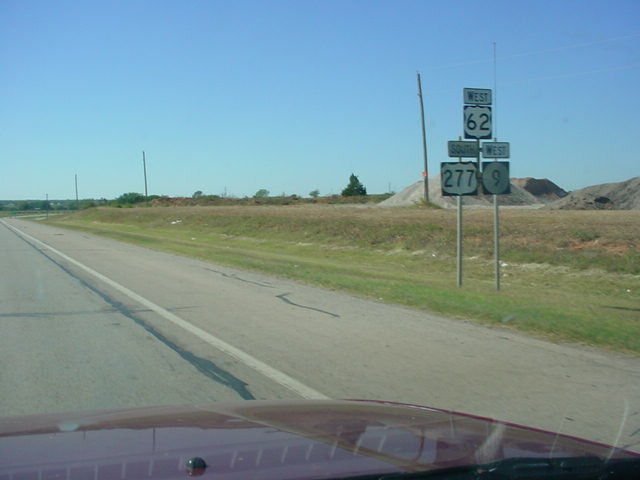 U.S. 277/281 provides an alternate to the nearby H.E. 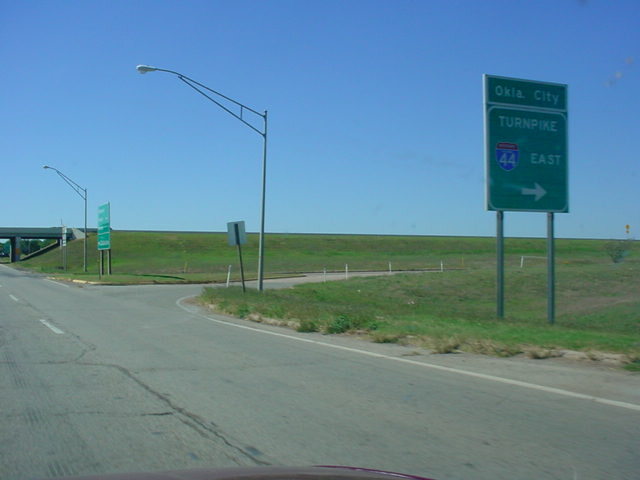 Bailey Turnpike between Exits 5 and 30 (the entire southern part of the turnpike). 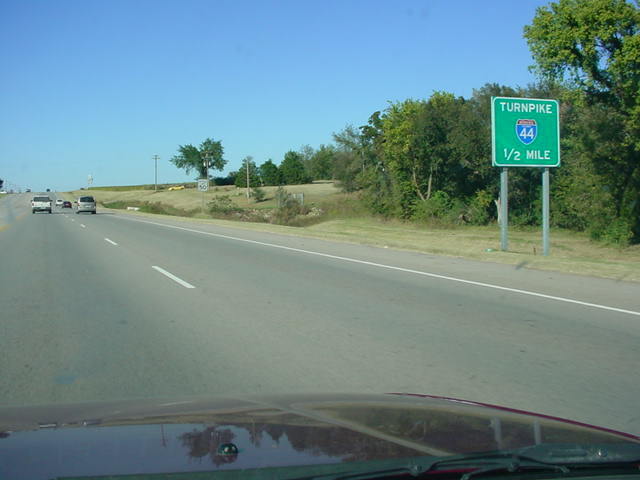 The highways join Interstate 44 once again and exit off with U.S. 62 at Exit 46, which is also the southern terminus of the Bailey Turnpike's northern section. 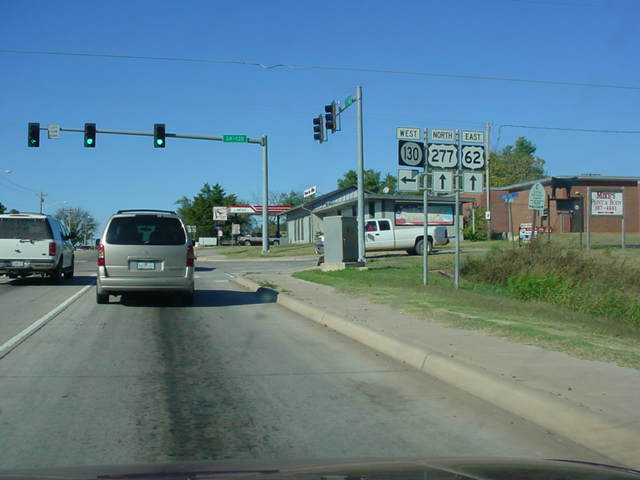 U.S. 277 heads off on its own four miles north of the interstate and intersects Interstate 44 once again at Exit 53. 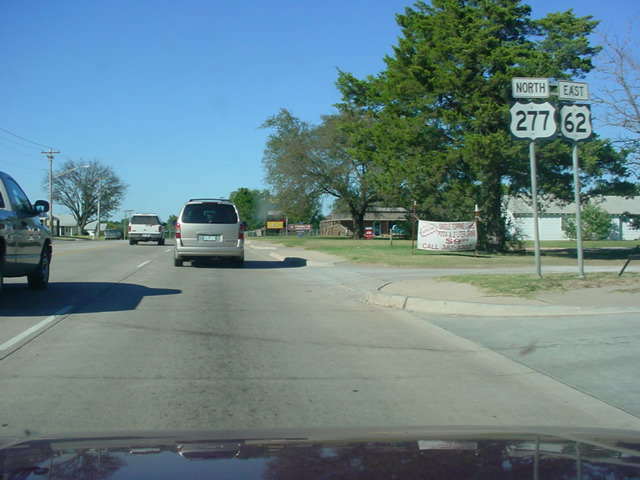 U.S. 277 then runs parallel to I-44 for a few miles before crossing underneath it. 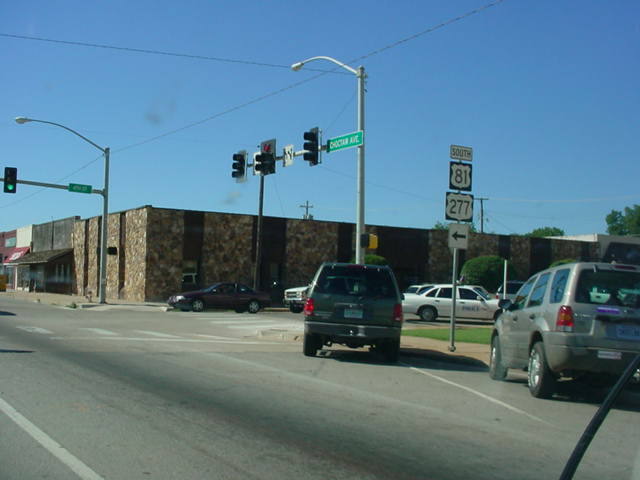 In Ninnekah, the highway joins U.S. 81 and are multiplexed until U.S. 62 in downtown Chickasha, where U.S. 277 heads east with U.S. 62. 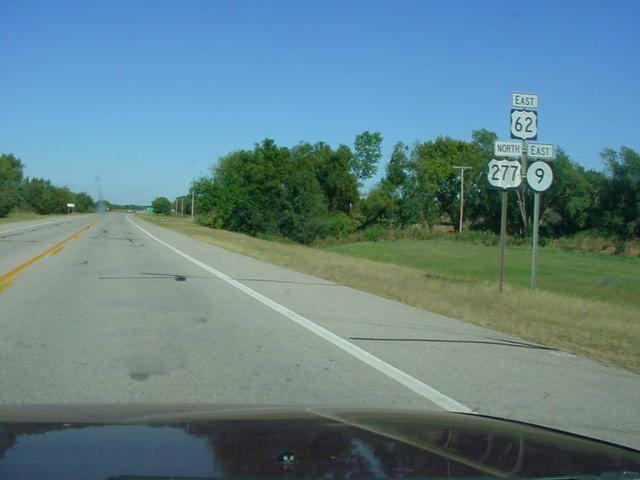 U.S. 62 and U.S. 277 are joined for the remainder of U.S. 277's route, which finds its northern terminus at Interstate 44's Exit 107, which is, ironically enough, the northern terminus of the Bailey Turnpike. 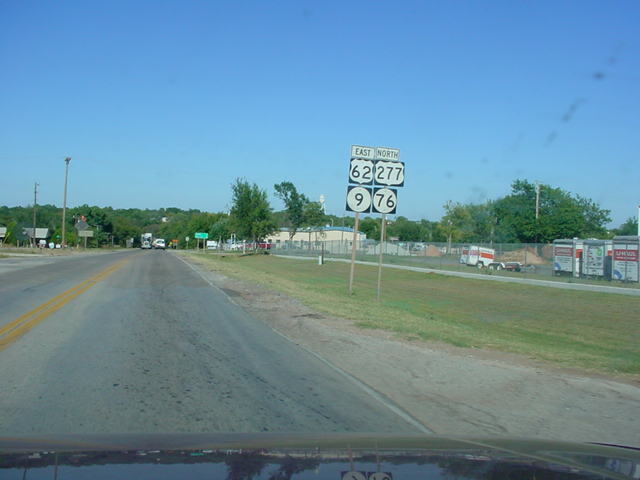 So to sum up U.S. 277's route in Oklahoma, it is a free alternate to the H.E. 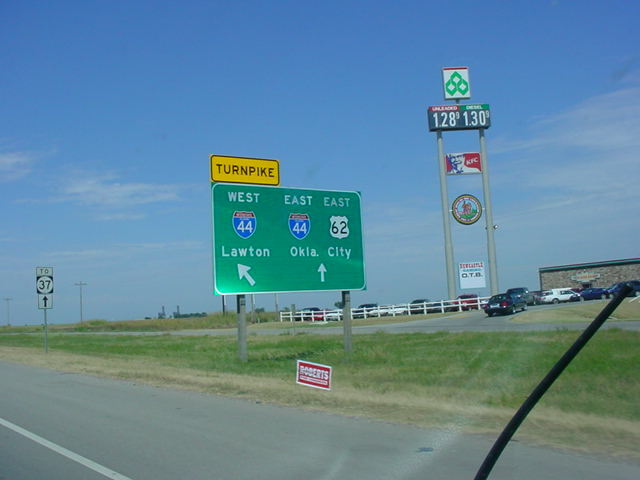 Bailey Turnpike if you don't have $4.50 handy. 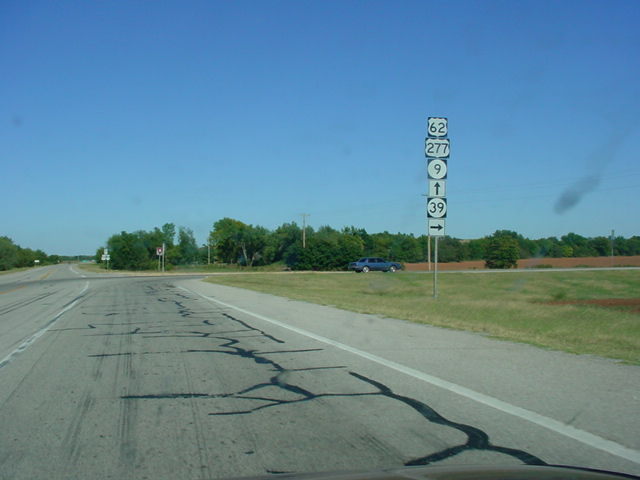 on U.S. 70 for three miles to Interstate 44. 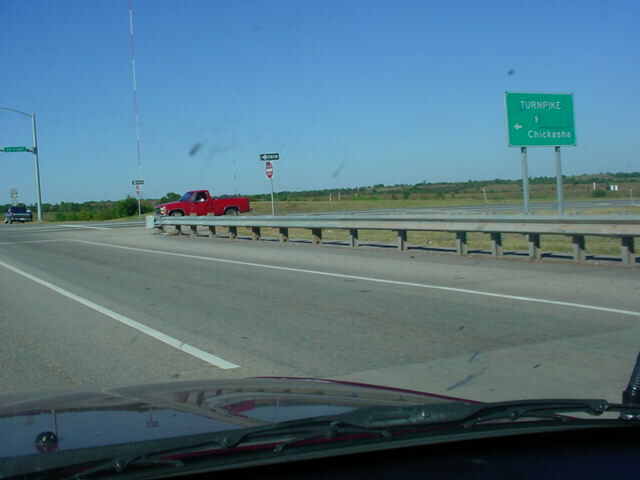 U.S. 281 North at Exit 46-U.S. 62 East/U.S. 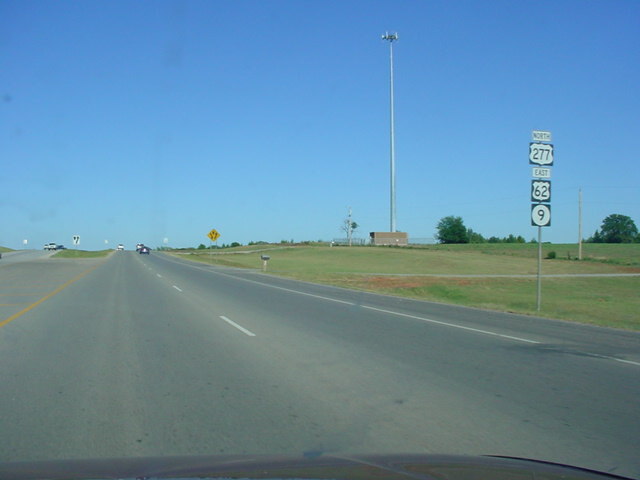 U.S. 277 South/OK 19 West at OK 8 North. 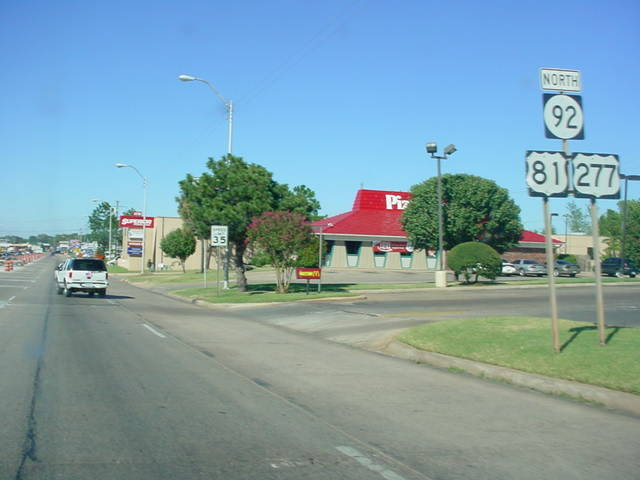 shields just north of OK 92 in Chickasha. 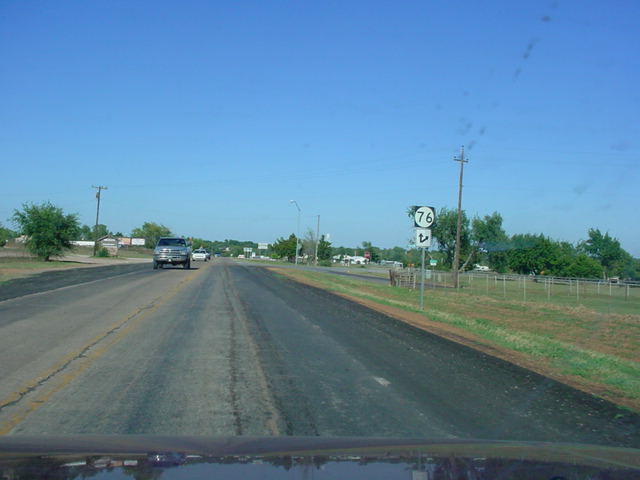 east at this point while U.S. 81 heads west. 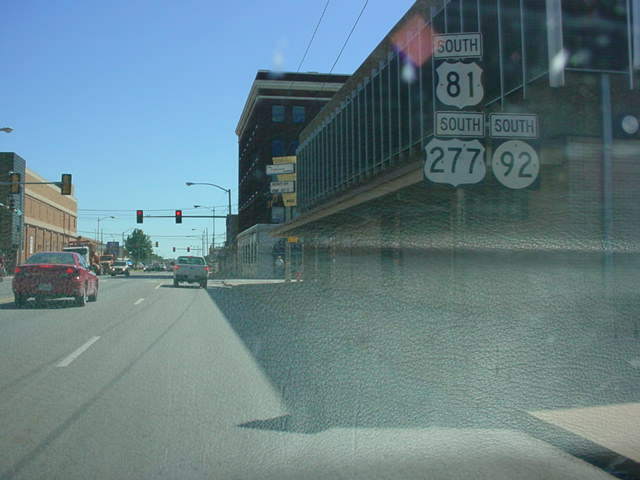 approaching U.S. 81/U.S. 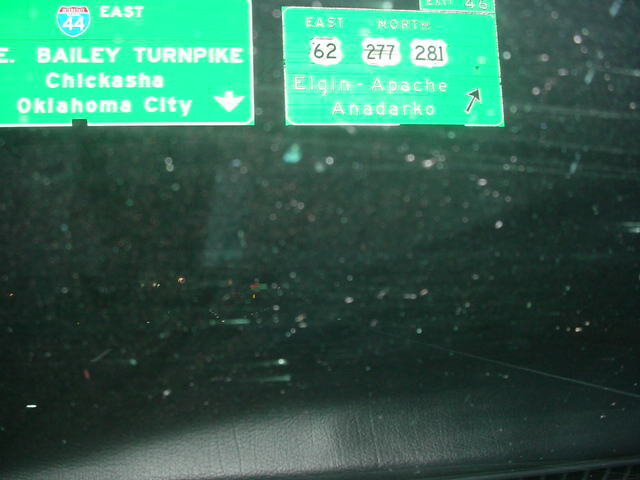 277/OK 92 South. 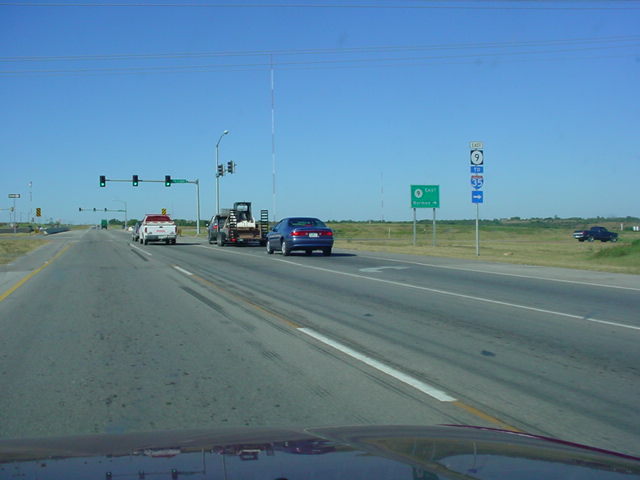 at Interstate 44 East, east of Chickasha. 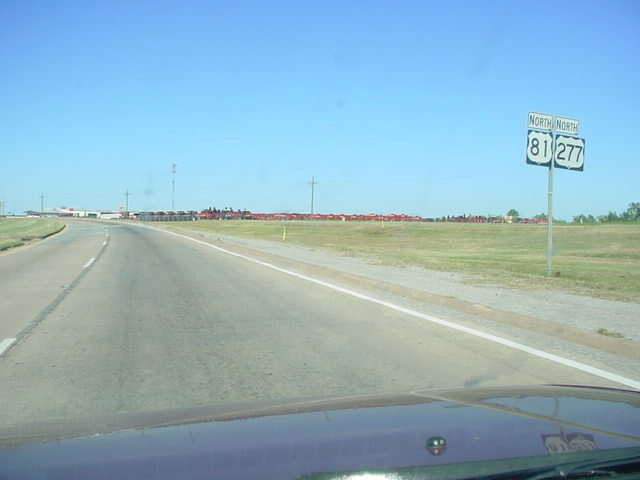 approaching OK 92 North east of Chickasha. 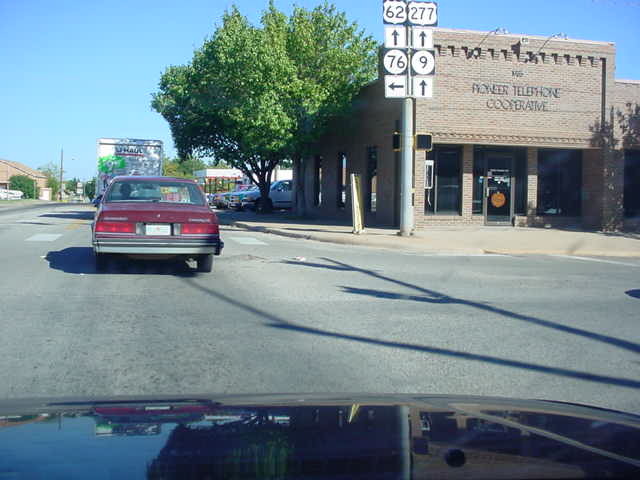 East. 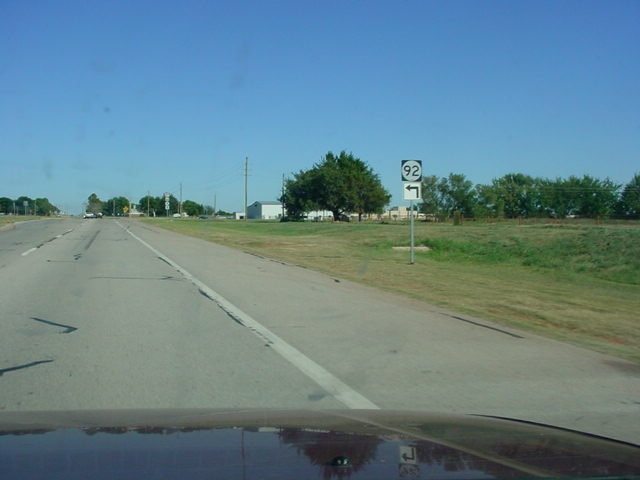 This is the western terminus of OK 39. 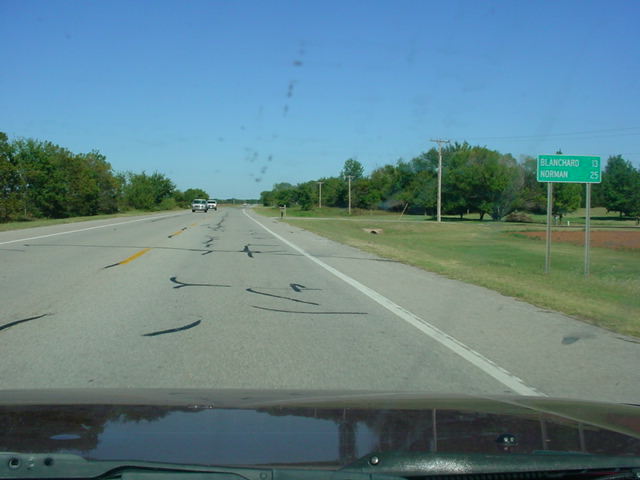 Norman is 25 miles away via OK 9 East. 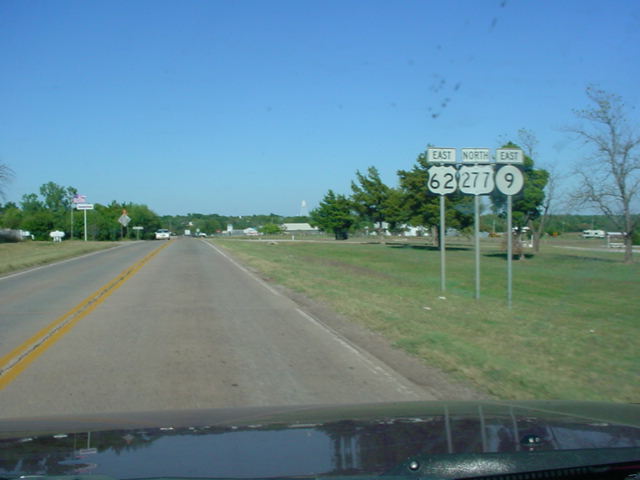 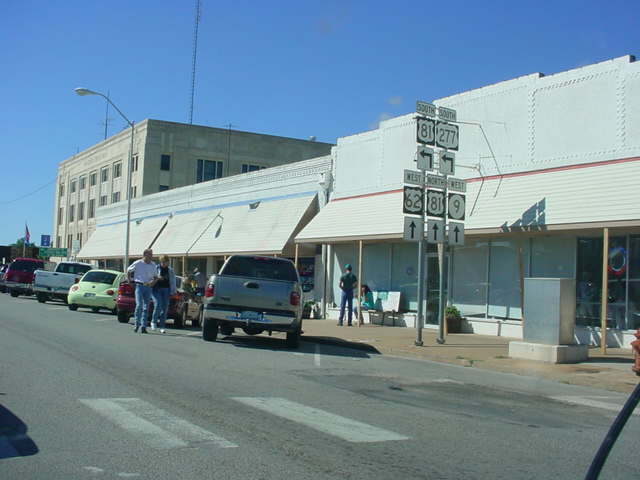 The split of OK 76 North from U.S. 62, U.S.
277, and OK 9 in downtown Blanchard.